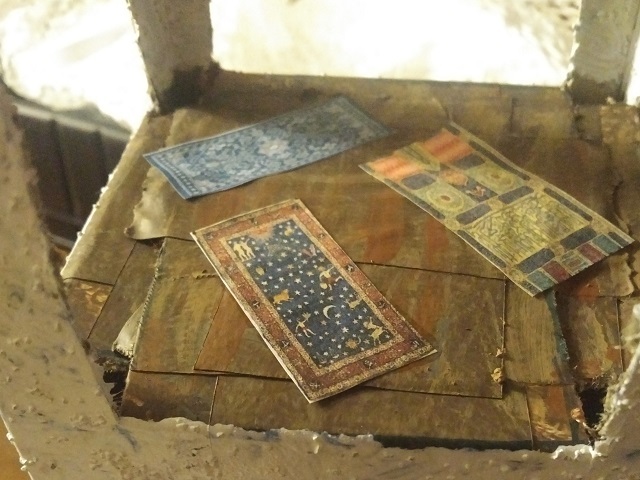 Making my puzzle box church left me a large four-sided piece from the roof. Just the right thing to maked a walled enclosure. 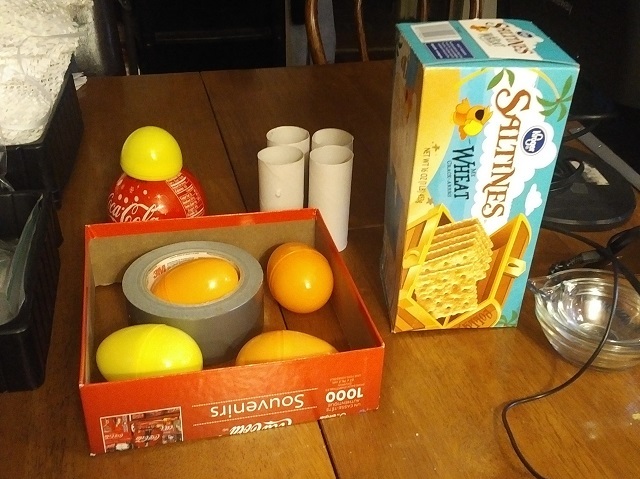 So I gathered up some more bits ... toilet paper tubes, plastic easter eggs, another cracker box. And we can arrange them like this for the general idea. 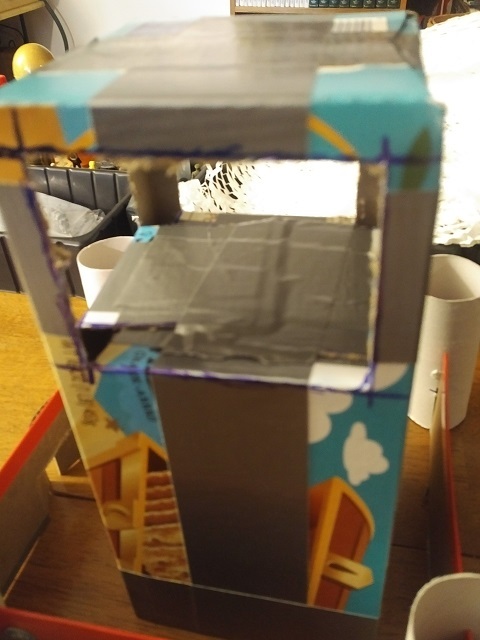 The top of the tower is just cutting a three sided flap in each of the sides, then pushing them inside and fixing with duct tape on the top and bottom. 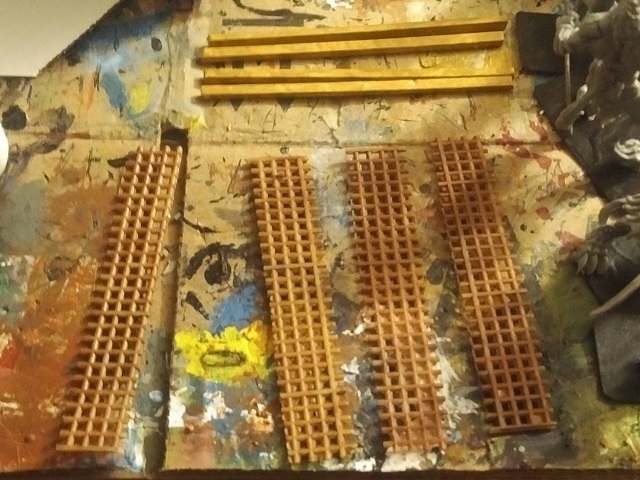 Then it gets painted up with my paint (white this time), glue, and sand mixture, to make a rough surface. 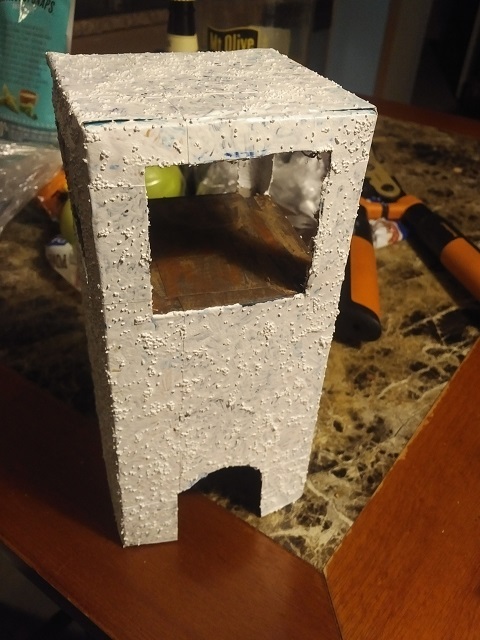 I used a lot of glue in this so it comes out more stucco like. The floor was painted brown, then I printed some rugs to glue down. Now we go to granny grating and sticks to make a railing for the top of the tower. I didn't even assemble the rails. 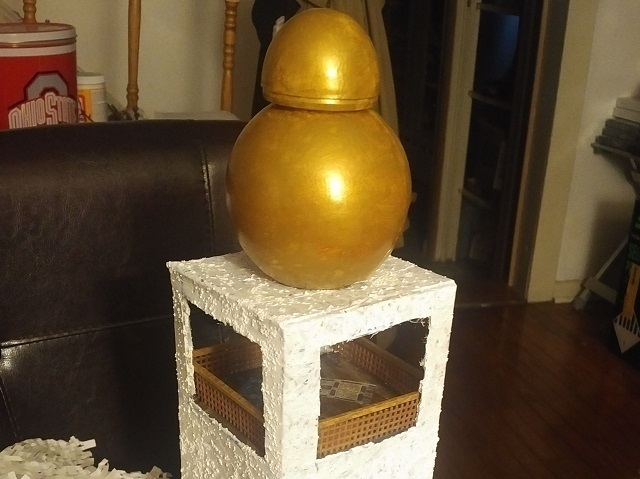 I just glued the brown grating to the inside then glued the gold painted top rail to the inside after. For the interior, I want a ground floor and a staircase. 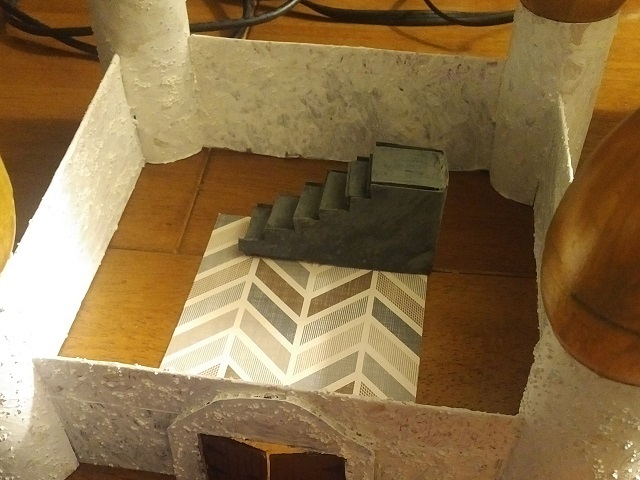 I glued some courrugated cardboard bits together to make the substance of the stairs. 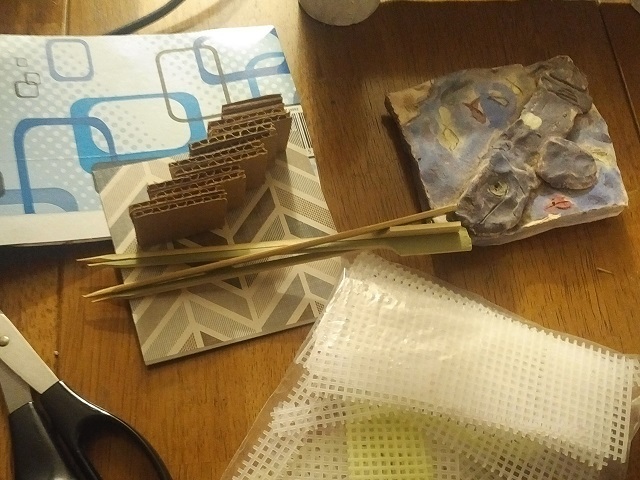 I will use the the thin card to make a wrapper around the steps. 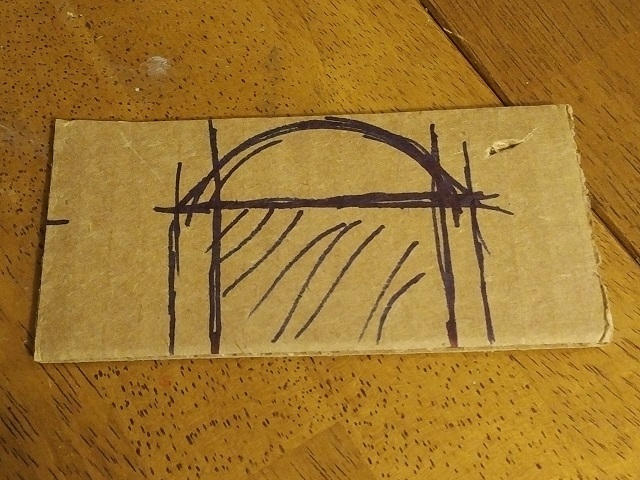 And a bit more cardboard to dress up the gateway through the walls. 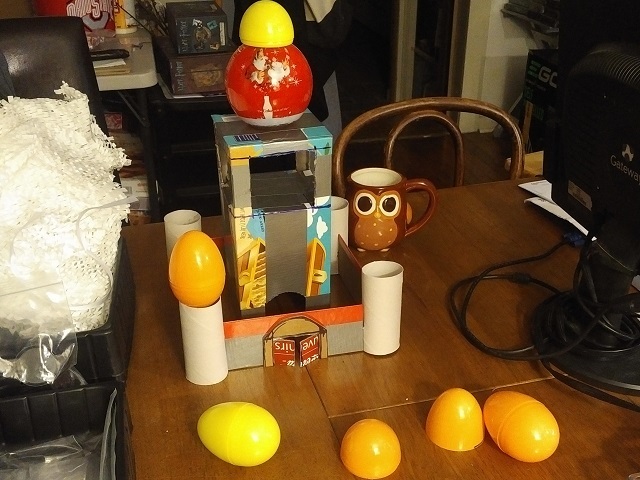 Here's the interior bit, so we can lift up the tower and have some fighting inside the tower. 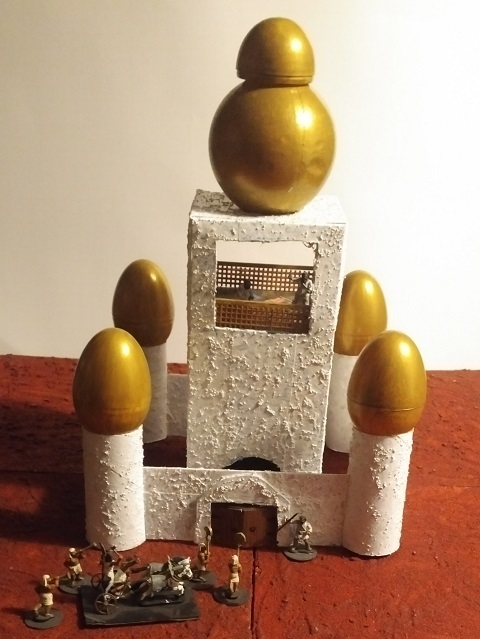 And here's what we get when we put the whole thing together and add in some figures.